Reboots are seriously vogue right now. They’re happening every day. Only yesterday we reported that 1984 classic Deus Ex Machina was being revived. Now mech arena shooter Heavy Gear is being reassembled with a new game based on the Unreal 4 engine. 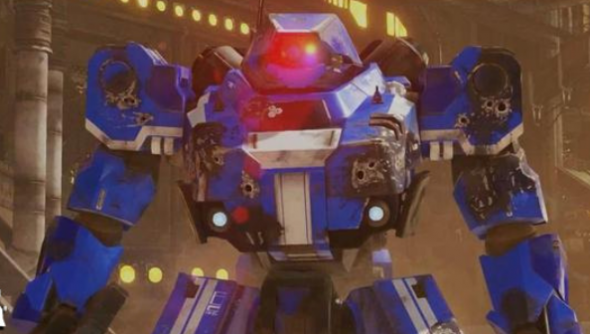 Stompy Bot Productions are looking for $800,000 to make Heavy Gear Assault. The Heavy Gear series was last seen in the late 1990s, published by Activision at the height of the last great mech game craze. Based on the tabletop tactical wargame, the Heavy Gear series has a universe rich for the taking, and numerous veterans from the original games are coming together to bring that universe to the PC once more. A free-to-play game (or rather ‘Free to Choose’ according to the Kickstarter brief), it sounds like Hawken is a clear inspiration for this multiplayer shooter. There’s a great emphasis on destructible mechs and environments; just watch the trailer to see some of the amazing physics effects during the demolition of a bridge. Typically there’s a list of backers rewards as long as a belt of machine gun bullets, which you can see over at the Kickstarter campaign page. Should you wish to give some of your cash to Stompy Bot, you have 38 days and counting to help them hit their goal.